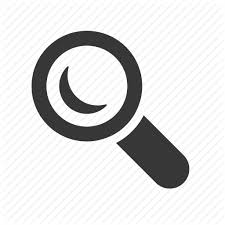 The X-Plan Group has initiated a graphic project linked to investigations, public speaking, articles and other activities. Every long-term or important operation will be launched with a cover representing its contents. Such covers will be displayed on the Home Page under the PROJECTS section. After the unexpected success of THE GIANT OF KANDAHAR The X-Plan Group is also working on two other investigations that will be published for our English-speaking users: The Monster of Scheggia and The Peruvian Mummies. In the course of history there are more references – more or less explicit – to a Tenth Planet orbiting around our Solar System, other than the Enuma Elish and the Sumerian chants. 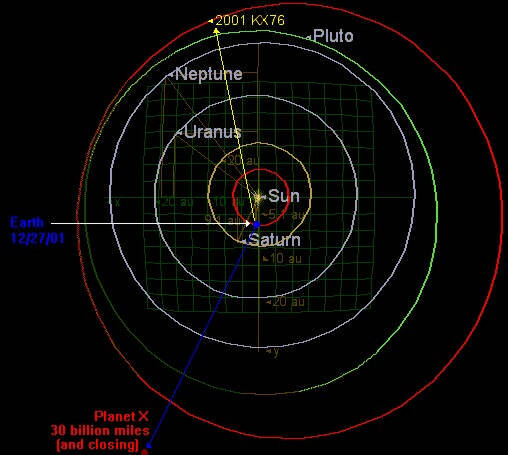 These three passages offer clear references to the past and the present situation of a Planet X which exists in our Solar System, although not always visible: the counterearth in the De Coelo, a "star" or planet in opposition to ours. The implication of the counterearth with Marduk and Tiamat's clash, as told in the Sumerian's Enuma Elish, is something that should not be ignored. A lot could be said about the fascinating esoteric symbolism of the Pythagoreans in connection with the myth of Phaethon, but this is not the purpose of this study. In the Metafisica we have a clear description of our complete Solar System as it was known by the Mesopotamic populations before the Greek: the planets must be ten because, according to the Pythagoreans, the number ten “...seems to be a thing that is perfect, and to have comprised the entire nature of numbers...”; and if “...the number contains all other things...” [Strobaeus, Eclogae Physicae], the syllogism identifies the number ten as the only number of perfection. 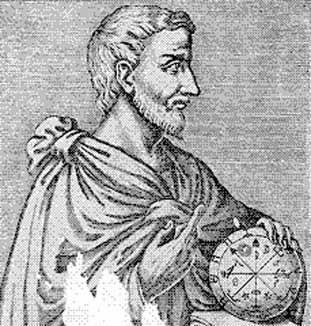 Since the planets in the sky are nine, the Pythagoreans place the counterearth as the “Tenth Planet”. Considering the contribution Pythagoras and his school gave to Mathematics, Geometry, Goniometry, Astronomy, Numerology, Arithmogeometry, Philosophy, Music, Cosmology – and, only to name a few discoveries: the Multiplication Tables, the Pythagorean Theorem, the evolution of the concept of number, the dissemination of the Litmus Test, the calculus upon the harmonic vibrations, the immeasurability and irrationality of some quantities, the properties of triangles, hyperboles and ellipses, the dodecahedron inscribed within a sphere – such contributions laid the foundation upon which the whole Western culture stands. Therefore, is it not utterly improbable, if not radically illogical, that "that man" (as he was known among his disciples), didn't frame the structure of our Solar System correctly? It seems to be more simple to treasure such a revelation, and take from here to improve our mindset, so to better understand all which surrounds our existence. "...For indeed that tale that is also told among you, how that Phaethon, the child of the Sun...burnt up all things upon earth and himself was smitten by a thunderbolt...this story, as it is told, has the fashion of a fable; but the truth of it is a deviation of the bodies that move round the earth in the heavens, whereby comes at long intervals of time a destruction with much fire of the things that are upon earth..."
"...So then this was the plan and intent of God for the generation of time; the sun and the moon and five other stars which have the name of planets...And when God had made their several bodies, he set them in the orbits wherein the revolution of the Other was moving, in seven circles...The moon he placed in that nearest the earth, and in the second [orbit] above the earth he set the sun; and the morning-star and that which is held sacred to Hermes [Venus and Mercury] he assigned to those that moved in an orbit having equal speed with the sun...And as to the rest, were we to set forth all the orbits wherein he put them and the causes wherefore he did so...These things perhaps may hereafter, when we have leisure, find a fitting exposition..."
"...But when each of the beings which were to join in creating time...their bodies secured with living bonds...then in the motion of the Other, which was slanting and crossed the motion of the Same and was thereby controlled...For the motion of the Same, twisting all their circles into spirals, because they have a separate and simultaneous motion in the opposite way..."
the motion of the Same, the interior that of the Other. And the circle of the Same he made revolve to the right by way of the side, that of the Other to the left by way of the diagonal. And he gave the supremacy to the motion of the same and uniform, for he left that single and undivided; but the inner circle he cleft into seven unequal circles in the proportion of the double and triple intervals severally, each being three in number; and he appointed that the circles should move in opposite directions, three at the same speed, the other four differing in speed from the three and among themselves, yet moving in a due ratio..."
This long excerpt constitutes in our opinion the most important aspect of Plato's cosmology; we found the importance of numbers in the intricate mathematical relationships of the newly created planets, placed and "animated"as they were, and the number was the fundamental precept for the Pythagoreans (but in fact, this holds true for all the civilizations of the past, from Egyptians to Mayas, from the Sumerians to the Incas, the Chinese, and the Arabs). First Mathematical Veil (Physical Layer): it pertains to the numerical ratio within which planets are created; they are precise measurements, indicating a vast knowledge of the Universe. Where this knowledge comes from is the primary question, and a possible answer may come from the Timaeus itself, when Plato writes of the notions he learnt in Egypt. Currently most researchers agree that even Egypt was deeply influenced by the Mesopotamian people. Is it possible to explain the Universe through numbers? Yes, but we think they must be integrated with other parameters. Throughout the millennia the people referred to it as The Gods, God (Plato's Demiurge), and today we are back to read under different eyes all that the Ancient World left us. Plato's cosmology considers an external intervention which is capable to create the "soul", that is, life. This Layer must include, we believe, also the description of the orbital pathway of the newly created planets. What is the meaning behind their motion? If the "precise ratio" by which planets were created is explained in mathematical terms, likewise should their "vitality", their motus. It is not necessary to elaborate on the deep connection existing between the First and the Second Veil, for it must be evident at this point. Then the Third Veil = Essence. The need for a deciphering of Plato's esoteric passage calls for the searching of possible codes of interpretation. We chose the above key because we believe it intimately connected with the configuration of our Solar System, including Nibiru. Later we will explain why; but first we need to complete the reading of Plato's cosmological concept. The identities we have hereby proposed produce a certain logical thought: Given that to the merging of the Same with the Other the Essence is added, and "...of the three making one..." (Idea), the corresponding operation is that the union between the First Mathematical Veil and the Second Spiritual Veil adds the Third Cosmic Veil, that is, a second union. It follows that only a thorough analysis of the physical ratio with the numbers, and the understanding of the meaning behind those relationships can ultimately lead to the discovery of a common constant with the Third Veil, a necessary condition to grasp the Universal Totality, the Idea. 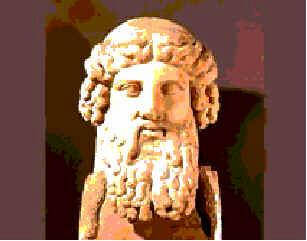 The connection between Plato's paragraph of the World-soul contained in the Timaeus, and the coming of Nibiru, can be in fact explained if we take it into account the most important feature of the "Tenth Planet" (or Twelfth if we include the Sun and the Moon) according to Zecharia Sitchin's studies, and which is its retrograde orbit (i.e. clockwise direction) crossing our Solar System. "...The exterior motion he named the motion of the Same, the interior that of the Other. And the circle of the Same he made revolve to the right by way of the side, that of the Other to the left by way of the diagonal. And he gave the supremacy to the motion of the same and uniform, for he left that single and undivided; but the inner circle he cleft into seven unequal circles in the proportion of the double and triple intervals severally, each being three in number; and he appointed that the circles should move in opposite directions, three at the same speed, the other four differing in speed from the three and among themselves, yet moving in a due ratio..."
Our entire study is based upon the assumption that coincidences don't explain a thing; on the contrary, they leave unanswered questions unanswered. The attempt to accept everything as a work of chance produces a cultural flattening which is utterly detrimental, because there is no evolution in the search for Knowledge. We believe, therefore, that the past did not leave things by accident; if, in the final part of Plato’s paragraph the planets’ motion coincides precisely with that of the celestial bodies in our Solar System, and another planet is added, having an external orbit and a retrograde motion, would it not be reasonable to identify that planet with the Mesopotamian Marduk, the Sumerian Nibiru or, as it is known today, the Tenth Planet, the “Planet X”?